This year, people across the country have made resolutions to change their lives. At More Space Place, we know that what you wear is a huge part of you are. To be successful, you have to look successful and all of your best clothes should be easily within reach. Have you heard of the 80/20 Rule? The rule states that 80% of the time, we wear 20% of our clothes. If this equation seems a little skewed to you, More Space Place has a solution to change both it and you! Whether you’re searching for a place to store shoes, display handbags or simply an easier way to find your clothes, look no further than a custom closet solution from More Space Place. From designer duds to bargain finds, we take pride in what we wear. A wardrobe like yours deserves to be showcased, not subdued in a tiny, cramped closet. 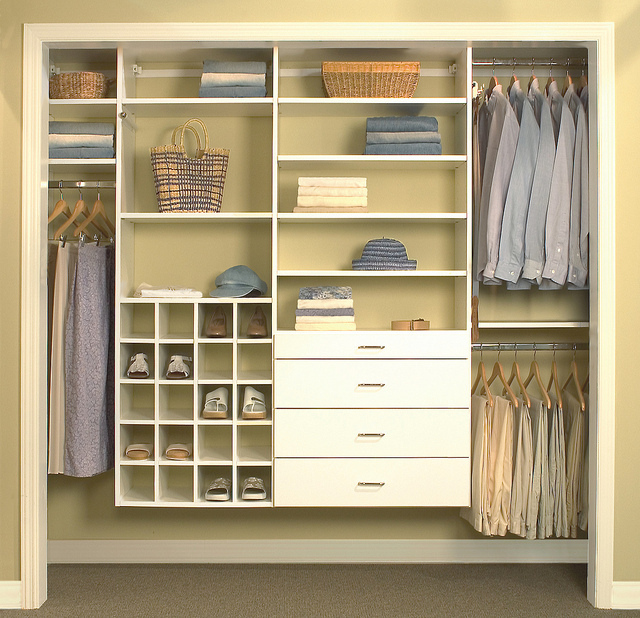 More Space Place offers custom closet solutions in a wide selection of styles and finishes. With so many customizable organization solutions, you are guaranteed to create a closet system that is as unique as your wardrobe. Custom closet solutions from More Space Place also feature telescoping valet rods for dry cleaning or wardrobe planning as well as modular components that are configurable to all your needs. Call or visit a More Space Place franchise location near you and let one of our designers help you create a custom closet solution that is as upscale and sophisticated as your wardrobe. For closet and organization inspiration, follow More Space Place on Pinterest.